SqueezeTrader represents a major advancement in profitable trading. By identifying not only the perfect setup, but also detecting the point at which the market has decided which direction it will trade. The Dynamic Profit Module uses cycle analysis to project the next move – in price and time. By analyzing how a market has moved in the past, the module can calculate where and when the next reversal point is most likely to occur and provide price targets. 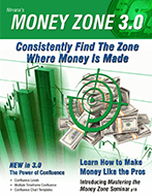 The Money Zone is based on the universally accepted concept known as Market Profile. 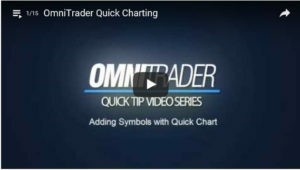 It is being used by Real Time and End-of-Day traders alike to trade the most profitable levels in the market. The Intrinsic Trend Trading Module is a much needed combination of tools and Strategies that is going to empower you to identify those stocks and ETFs that are in a trend following mode so you can profit from them. ITM is the complete trend trading solution. The Chart Pattern Recognition Module(CPRM) automatically finds the stocks with the strongest patterns in the market. Now in CPRM6, we can also find the best patterns in ANY time-frame! This breakthrough in pattern identification technology makes the best Chart Pattern Module more powerful than ever before!